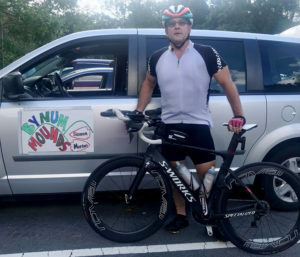 In this edition, we have a DOs That Do feature, this time highlighting AOAO President Steven Morton, DO, FAOAO, an endurance cyclist who recently qualified for the Race Across America. 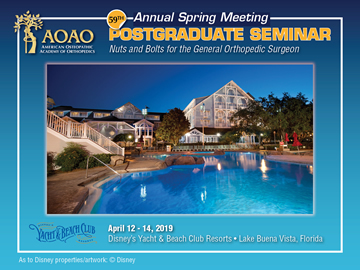 We also have an update on graduate medical education, information on financial literacy for residents, a rundown on student activities at the upcoming spring meeting, information from USBJI on free public education programs, and more. Read the latest edition HERE. Out With Winter Blues, in With the Thaw of Spring! The Academy has increased its digital footprint! Click here to find out where to join us! Check out the latest issue of the Bone and Joint Initiative! Each year the AOAO contributes to the Bone and Joint Initiative USA. Buy tickets and reserve your room through the AOAO’s online Disney Events page. The conference session schedule will be available soon.